Gunmen have killed the manager of a hotel belonging to ex-Nigeria international footballer, Osaze Odewingie, located at Erediauwa Street, off Upper Sokponba Road, Ikpoba-Okha Local Government Area, Edo State. The victim identified as Osato Okunkpolo, was reportedly killed on Sunday. 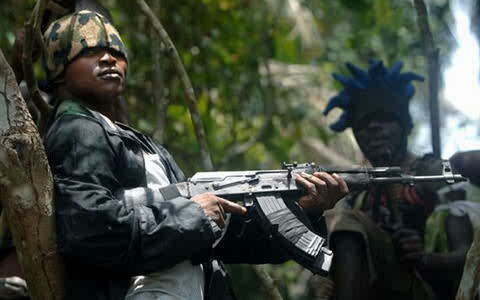 A source who spoke to NAN said the gunmen gained access to the hotel at about 9 p.m. and shot Okunkpola dead. Edo Police Public Relations Officer, DSP Chidi Nwabuzor, who confirmed the incident, said Okunkpolo was hit by a bullet in a shootout between two rival cult groups. Nwabuzor said members of Eiye and Aye engaged in a shootout in the area on Sunday night. “The incident is true. It is true that a murder occurred at Odemwungie Hotel on the February 17, 2019. “Our detectives are still investigating the incident,” he added.